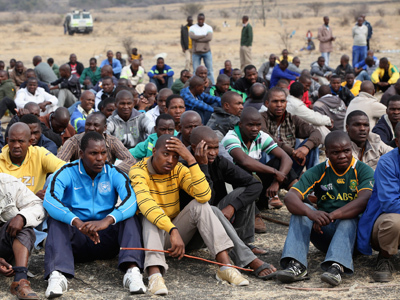 ­The Lonmin platinum mine in Marikana, in the country's North West province, made headlines on August 16, when protesters, who demanded their wages be raised to over $1,000 a month, clashed with police. 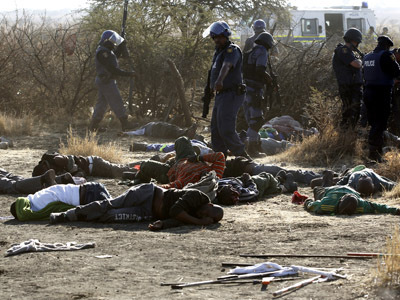 The crackdown claimed the lives of 36 people – miners and two policemen, and left 78 injured. The miners are to be tried under the "common purpose" doctrine, which implies that all participants in a criminal activity can be charged for its consequences. "This is under common law, where people are charged with common purpose in a situation where there are suspects with guns or any weapons and they confront or attack the police and a shooting takes place, and there are fatalities," Frank Lesenyego, spokesman for South Africa's National Prosecuting Authority, said. That is despite police commissioner Riah Phiyega's confirmation a few days after the tragedy that the 34 people were killed by police. 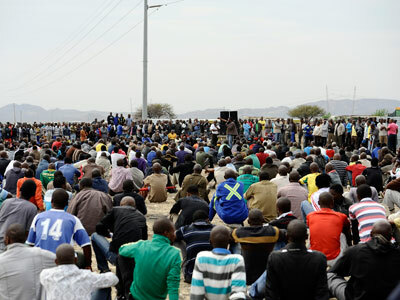 However, police officers insist that they opened fire to defend themselves against a wave of strikers armed with machetes, who allegedly charged barricades. Prior to gunshots, the police used tear gas and water cannons. 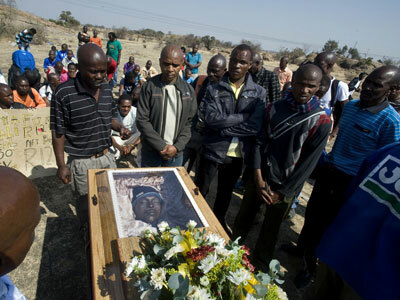 However, leaked findings of victims' autopsies were published by the South African Star newspaper, and showed that the miners were shot in the back while running away.